This guide will show some possible or suggested 1-Card Hand Decks for beating the 1-Card Hand Duel Starts Challenge Rule in some duel nodes. Refer to the mini-walkthrough guide below to learn how to defeat this challenge rule. 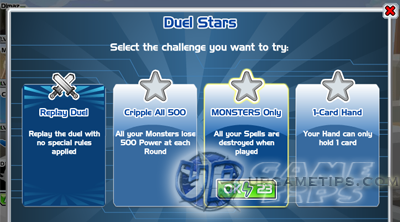 Note that this rule is the hardest rule in the Duel Stars Challenge so you might need a lot of luck specially if you are a non-Duel Points user. - Your hand can only hold 1 card. so if you think a card is good for this kind of rule, go for it! experiment!. 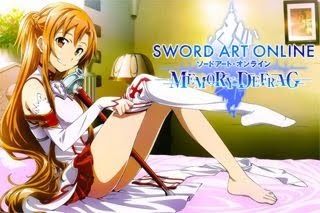 get 3 Spell Cards including Just Desserts and Mirror Force! Expert Challenge and 20+ DP from the the Duel Stars Challenge. That is a total of 59 DP! 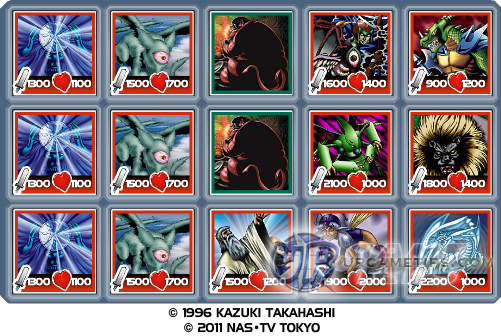 - It is recommended to spend your DP for Spell cards because you can use them to any decks. nodes, by getting at least 500 Duel Stars, by completing objectives and through crafting/purchasing cards. To win this, you will need a lot of luck to draw Just Desserts on your first or second round. If you did, just place your monster cards on the field and win using Just Dessert's special effect. 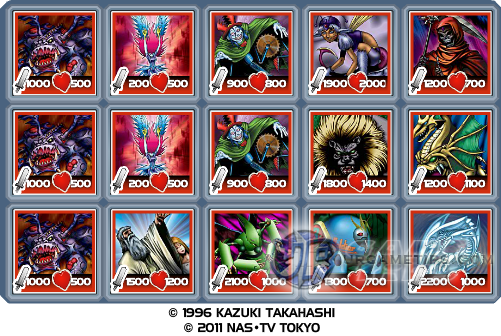 Mirror Force is not necessary to give you more LP from monster cards. - Kill the boosters early on because they can still survive even if they have the feeble effect. - Place Suijin at the right most channel for better performance. Here, you'll be fighting a Plant-Immune deck. No worries, the deck above will do just fine. - You can also add some Cripple All effect or just use high attack monsters if you want. Exile of the Wicked cards. Ignore those zombies in their place for your Just Desserts. - Chapter 24 Deck works fine here too. Spellcaster-Drain/Last Stand deck with combos like Sneak-Drain! - You can't properly use permanent spells because of those Solemn Judgments! - You also need to survive 3 annoying Raigeki Spells! - To win this, you'll need a lot of luck and some helpful pointers. Refer below for sample deck. you will not draw this card in the early rounds. - Must destroy those Beastking of the Swamps cards before they can massively Power-up! you might be able to win the duel. - If you can do the Requiem Trick. - If 1, 2 or 3 Beastking of the Swamps appears at 1st Round! They can finish you off quickly! - If at least 1 Beastking of the Swamps massively Powered-up! - Place Requiem cards at the left most channel to activate those Raigekis. activate that Raigeki spell, do it now than later. - Place Trap Master and Solemn Judgment at the left most channel to destroy Raigekis. high power monsters in that place (including Solemn Judgment if it is the only card). Dark Magician's Power, but do not destroy them. Try to bring it down to 500 Power or less. - If there is a Beastking on the field, destroy it! 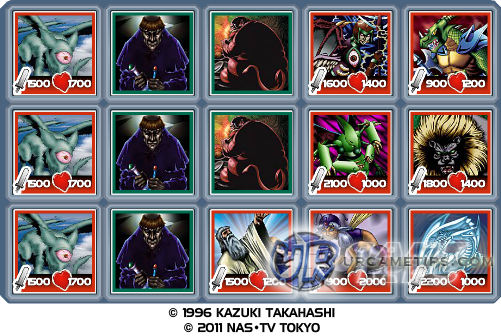 Power on the field including Dark Magician, do not place any cards in the field and just hit BAM! Try to win by using Dark Magician's Backfire 1000 effect! - Best if you can do it with 2 Dark Magicians. Good luck!